Located within the serene Sundance Active Adult community is the Bisbee plan. This beautiful, new one story home features an open floor plan, 3 bedrooms and 2 full bathrooms. This new home comes with over $10,000 in upgrades including energy efficient Whirlpool kitchen appliances, granite countertops, custom wood cabinets, brushed nickel hardware and an attached two car garage. 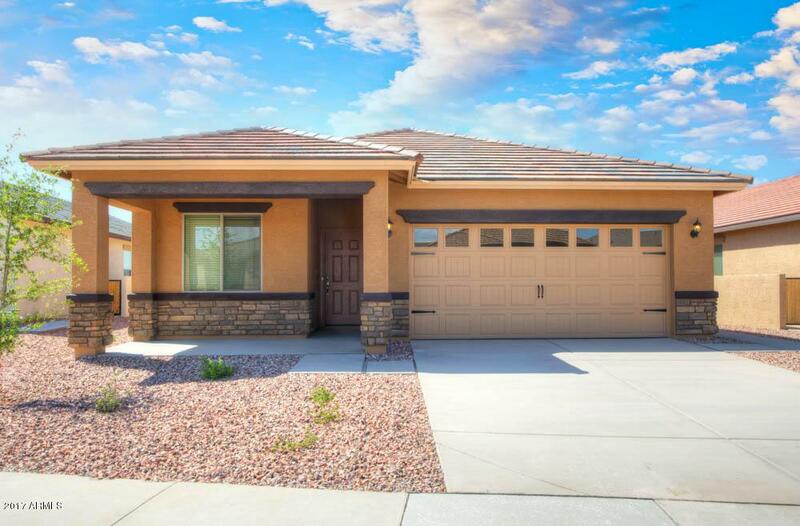 The Bisbee showcases a private master suite complete with a walk-in closet, as well as a separate dining room and beautiful front yard landscaping. Additionally, Sundance is located on an 18-hole championship golf course and the 15,000 square foot Community Recreation Center offers swimming pools, a fitness center, tennis courts, card rooms and so much more! Picture of similar home shown. Cross Street I-10 And Watson Rd.